It may seem like elevators are only reserved for businesses or luxury homes but anyone can enjoy the benefits of a home elevator. Home elevators come in many different designs, sizes and finishes, allowing you to choose the perfect elevator to suit your home’s style. This includes lifts that can be placed outdoors, from the garage to the house and even just between floors. Home elevators can benefit every member of the family as well as guests — here’s why a home elevator could make your life easier. If you always struggle to lug grocery bags up the stairs, a home elevator will make these chores a breeze! Guests on crutches or in wheelchairs, the elderly and parents with prams can also enjoy the ease and convenience of a home elevator. Not only is it easy to use, but it is also safer than stairs. It is also beneficial if you need heavy items moved from different levels of your home. As you get older, it can become harder and more dangerous to navigate stairs. Installing a home elevator can allow you to enjoy your two-story home without the hazard stairs can bring. It helps you stay in your home longer and reduces the need for you to downsize as you get older. It can also accommodate wheelchairs and walkers if needed. Investing in a home elevator can add significant value to your property and may be the winning feature that attracts buyers to your home and not another. The modern lifts available at Easy Living Home Elevators can be customised to suit the style of your home, meaning it can blend in seamlessly with its surroundings. 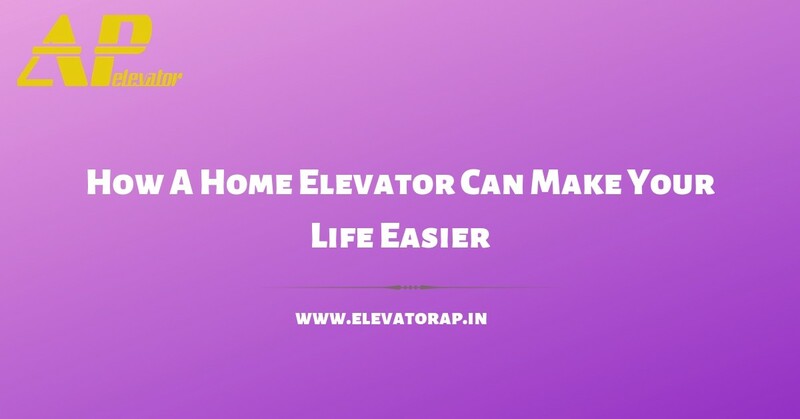 If you are renovating, choosing to build up and not out can actually be more cost-effective and adding a home elevator for convenience will make the choice to go up even more attractive. If you are thinking about installing an elevator in your home, consider Easy Living Home Elevators. We have a wide range of indoor, outdoor and service elevators for your home. Contact us to find out more.